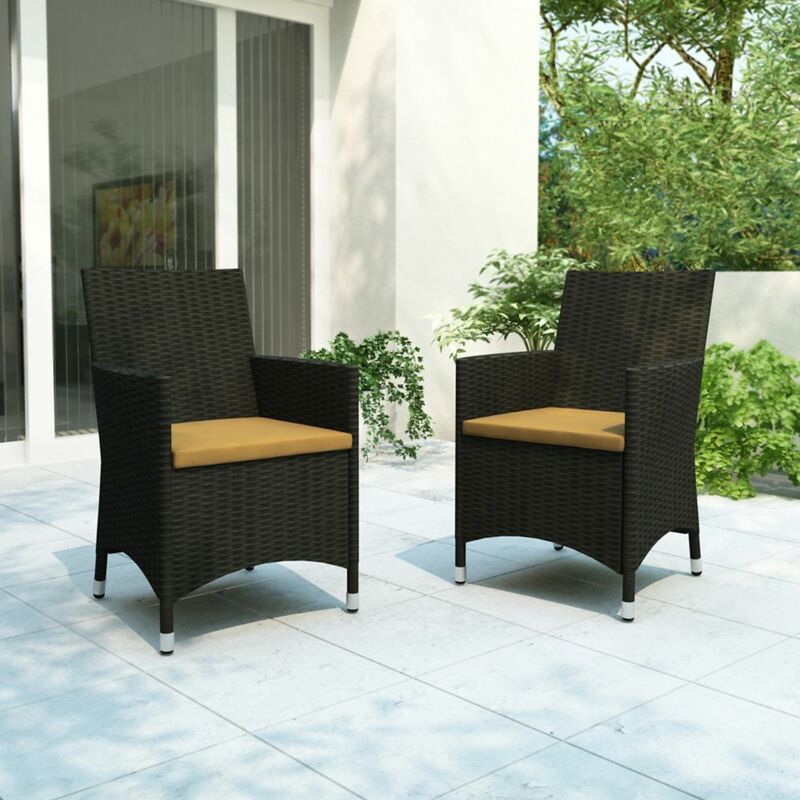 Enjoy this summer with the inviting Cascade Two Chair Set. Featuring durable steel frames, a UV resistant resin rattan weave and washable seat covers, the patio chair set is a solid choice for your outdoor space. This two piece set is finished in a Charcoal Black Rope weave and accented with Sunset Yellow seat covers. Cascade Patio Chair in Charcoal Black and Sunshine Yellow (Set of 2) Enjoy this summer with the inviting Cascade Two Chair Set. Featuring durable steel frames, a UV resistant resin rattan weave and washable seat covers, the patio chair set is a solid choice for your outdoor space. This two piece set is finished in a Charcoal Black Rope weave and accented with Sunset Yellow seat covers.